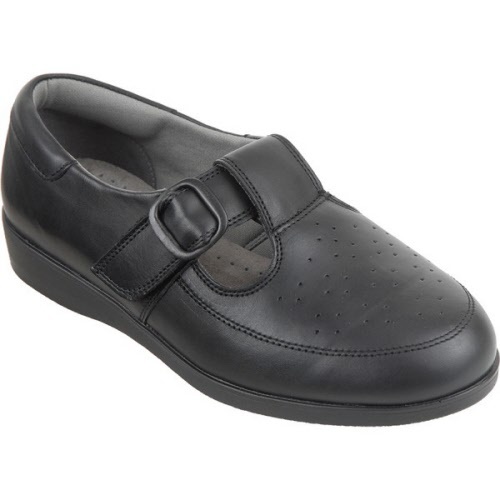 A classic design T-Bar leather shoe in black. This lightweight, all-year-round shoe is easy to put on a swollen foot and the false buckle cleverly disguises an adjustable, touch-fastening strap. The premium leather feels super-soft while the spongy footbed and shock-absorbing sole gives you blissful, underfoot comfort. The best eCommerce software by ShopFactory powers P1665. All-in one eCommerce and shopping cart software.